With Henrik Berggren, Är svensken människa: gemenskap och oberoende i det moderna Sverige. 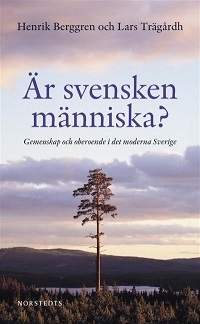 [Is the Swede Human: Autonomy and Community in Modern Sweden], Stockholm: Norstedts. 2006. With Nina Witoszek (editors), Culture and Crisis: the Case of Germany and Sweden, New York and Oxford: Berghahn Books 2002, paperback 2004. ”Svensk modell eller svensk kultur” [“Swedish Model or Swedish Culture”], Tvärsnitt 1992:2. ”Swedish Model or Swedish Culture?,” Critical Review, 4, no. 4, (Fall 1990). “Pippi Longstocking: The Autonomous Child and the Moral Logic of the Swedish Welfare State” in Helena Matsson and Sven-Olov Wallenstein (eds. ), Swedish Modernism: Architecture, Consumption and the Welfare State. London: Black Dog Publishing. With Henrik Berggren. 2010. 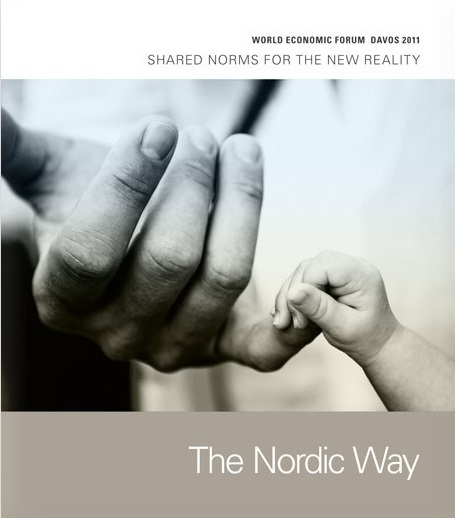 “Social Trust and Radical Individualism: The Paradox at the Heart of Nordic Capitalism” in The Nordic Way. Global Utmaning: Stockholm. With Henrik Berggren. 2010. “Statist Individualism: On the Culturality of the Nordic Welfare State,” The Cultural Construction of Norden, Bo Stråth and Øystein Sørensen (eds), 1997,Oslo: Scandinavian University Press, 1997. “Svenskhet och civilitet” [“Swedishness and Civility”] in Lars Trägårdh (ed), Civilt Samhälle kontra Offentlig Sektor. Stockholm: SNS, 1995. The Swedish model is the opposite of the big society, David Cameron. Opinion: What can Sweden teach us about liberalism?